Microbiology (from Greek μῑκρος, mīkros, "small"; βίος, bios, "life"; and -λογία, -logia) is the study of microscopic organisms, those being unicellular (single cell), multicellular (cell colony), or acellular (lacking cells). Microbiology encompasses numerous sub-disciplines including virology, mycology, parasitology, and bacteriology. Eukaryotic micro-organisms possess membrane-bound cell organelles and include fungi and protists, whereas prokaryotic organisms—all of which are microorganisms—are conventionally classified as lacking membrane-bound organelles and include eubacteria and archaebacteria. Microbiologists traditionally relied on culture, staining, and microscopy. However, less than 1% of the microorganisms present in common environments can be cultured in isolation using current means. Microbiologists often rely on extraction or detection of nucleic acid, either DNA or RNA sequences. As an application of microbiology, medical microbiology is often introduced with medical principles of immunology as microbiology and immunology. Otherwise, microbiology, virology, and immunology as basic sciences have greatly exceeded the medical variants, applied sciences. The branches of microbiology can be classified into pure and applied sciences. Microbiology can be also classified based on taxonomy, in the cases of bacteriology, mycology, protozoology, and phycology. There is considerable overlap between the specific branches of microbiology with each other and with other disciplines, and certain aspects of these branches can extend beyond the traditional scope of microbiology. Protozoology: The study of protozoa. Phycology/algology: The study of algae. Nematology: The study of nematodes. Microbial cytology: The study of microscopic and submicroscopic details of microorganisms. Microbial ecology: The relationship between microorganisms and their environment. Cellular microbiology: A discipline bridging microbiology and cell biology. Microbial taxonomy: The naming and classification of microorganisms. Microbial systematic: The study of the diversity and genetic relationship of microorganisms. Generation microbiology: The study of those microorganisms that have the same characters as their parents. Systems microbiology: A discipline bridging systems biology and microbiology. Molecular microbiology: The study of the molecular principles of the physiological processes in microorganisms. Nano microbiology: The study of those organisms on nano level. Biological agent: The study of those microorganisms which are being used in weapon industries. Medical microbiology: The study of the pathogenic microbes and the role of microbes in human illness. Includes the study of microbial pathogenesis and epidemiology and is related to the study of disease pathology and immunology. This area of microbiology also covers the study of human microbiota, cancer, and the tumor microenvironment. Pharmaceutical microbiology: The study of microorganisms that are related to the production of antibiotics, enzymes, vitamins,vaccines, and other pharmaceutical products and that cause pharmaceutical contamination and spoil. Microbial biotechnology: The manipulation of microorganisms at the genetic and molecular level to generate useful products. 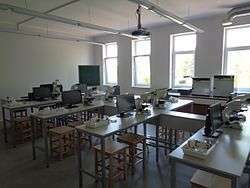 Food microbiology laboratory at the Faculty of Food Technology, Latvia University of Agriculture. Food microbiology: The study of microorganisms causing food spoilage and foodborne illness. Using microorganisms to produce foods, for example by fermentation. Plant microbiology and Plant pathology: The study of the interactions between microorganisms and plants and plant pathogens. Soil microbiology: The study of those microorganisms that are found in soil. Veterinary microbiology: The study of the role of microbes in veterinary medicine or animal taxonomy. Water microbiology (or Aquatic microbiology): The study of those microorganisms that are found in water. Aeromicrobiology (or Air microbiology): The study of airborne microorganisms. Symbiotic microbial communities are known to confer various benefits to their human and animal hosts health including aiding digestion, production of beneficial vitamins and amino acids, and suppression of pathogenic microbes. Some benefit may be conferred by consuming fermented foods, probiotics (bacteria potentially beneficial to the digestive system) and/or prebiotics (substances consumed to promote the growth of probiotic microorganisms). The ways the microbiome influences human and animal health, as well as methods to influence the microbiome are active areas of research. The existence of microorganisms was hypothesized for many centuries before their actual discovery. The existence of unseen microbiological life was postulated by Jainism which is based on Mahavira’s teachings as early as 6th century BCE. Paul Dundas notes that Mahavira asserted existence of unseen microbiological creatures living in earth, water, air and fire. Jain scriptures also describe nigodas which are sub-microscopic creatures living in large clusters and having a very short life and are said to pervade each and every part of the universe, even in tissues of plants and flesh of animals. The Roman Marcus Terentius Varro made references to microbes when he warned against locating a homestead in the vicinity of swamps "because there are bred certain minute creatures which cannot be seen by the eyes, which float in the air and enter the body through the mouth and nose and there by cause serious diseases." 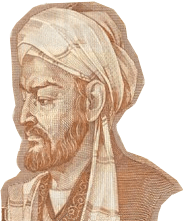 At the golden age of Islamic civilization, some scientists had knowledge about microorganisms, such as Ibn Sina in his book The Canon of Medicine, Ibn Zuhr (also known as Avenzoar) who discovered scabies mites, and Al-Razi who gave the earliest known description of smallpox in his book The Virtuous Life (al-Hawi). However, early claims about the existence of microorganisms were speculative, and not based on microscopic observation. Actual observation and discovery of microbes had to await the invention of the microscope in the 17th century. 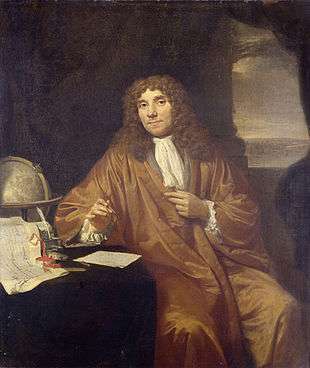 Antonie van Leeuwenhoek, is considered to be the one of the first to observe microorganisms using a microscope. He was among the first to design magic lanterns for projection purposes, so he must have been well acquainted with the properties of lenses. One of his books contains a chapter in Latin, which reads in translation – "Concerning the wonderful structure of things in nature, investigated by Microscope." Here, he wrote "who would believe that vinegar and milk abound with an innumerable multitude of worms." He also noted that putrid material is full of innumerable creeping animalcule. These observations antedate Robert Hooke's Micrographia by nearly 20 years and were published some 29 years before van Leeuwenhoek saw protozoa and 37 years before he described having seen bacteria. Joseph Lister was the first person who said infectious diseases are caused by micro-organism and was first person who used phenol as disinfectant on the open wounds of patients. 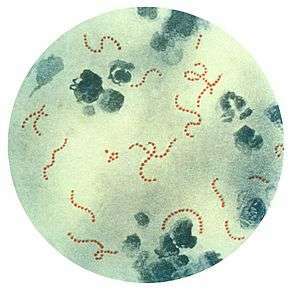 The field of bacteriology (later a subdiscipline of microbiology) was founded in the 19th century by Ferdinand Cohn, a botanist whose studies on algae and photosynthetic bacteria led him to describe several bacteria including Bacillus and Beggiatoa. Cohn was also the first to formulate a scheme for the taxonomic classification of bacteria and discover spores. Louis Pasteur and Robert Koch were contemporaries of Cohn’s and are often considered to be the father of microbiology and medical microbiology, respectively. Pasteur is most famous for his series of experiments designed to disprove the then widely held theory of spontaneous generation, thereby solidifying microbiology’s identity as a biological science. Pasteur also designed methods for food preservation (pasteurization) and vaccines against several diseases such as anthrax, fowl cholera and rabies. Koch is best known for his contributions to the germ theory of disease, proving that specific diseases were caused by specific pathogenic micro-organisms. He developed a series of criteria that have become known as the Koch's postulates. Koch was one of the first scientists to focus on the isolation of bacteria in pure culture resulting in his description of several novel bacteria including Mycobacterium tuberculosis, the causative agent of tuberculosis. While Pasteur and Koch are often considered the founders of microbiology, their work did not accurately reflect the true diversity of the microbial world because of their exclusive focus on micro-organisms having direct medical relevance. It was not until the late 19th century and the work of Martinus Beijerinck and Sergei Winogradsky, the founders of general microbiology (an older term encompassing aspects of microbial physiology, diversity and ecology), that the true breadth of microbiology was revealed. Beijerinck made two major contributions to microbiology: the discovery of viruses and the development of enrichment culture techniques. While his work on the Tobacco Mosaic Virus established the basic principles of virology, it was his development of enrichment culturing that had the most immediate impact on microbiology by allowing for the cultivation of a wide range of microbes with wildly different physiologies. Winogradsky was the first to develop the concept of chemolithotrophy and to thereby reveal the essential role played by micro-organisms in geochemical processes. He was responsible for the first isolation and description of both nitrifying and nitrogen-fixing bacteria. French-Canadian microbiologist Felix d'Herelle co-discovered bacteriophages and was one of the earliest applied microbiologists. 1 2 3 4 5 6 Madigan M, Martinko J (editors) (2006). Brock Biology of Microorganisms (13th ed.). Pearson Education. p. 1096. ISBN 0-321-73551-X. ↑ Nitesh RA, Ludwig W, Schleifer KH (2011). "Phylogenetic identification and in situ detection of individual microbial cells without cultivation". Microbiology Rev. 59 (1): 143–169. PMC 239358 . PMID 7535888. ↑ Penn, M; Dworkin, M (1976). "Casey Harmonh and two visions of microbiology". Bacteriological reviews. 40 (2): 276–83. PMC 413958 . PMID 786252. ↑ Symbiosis : An Introduction to Biological Associations: An Introduction to Biological Associations (2nd ed.). New York: Oxford University Press. 2000. p. 10. ISBN 9780198027881. Retrieved 2016-03-25. ↑ Smith, KA (2002). "Medical immunology: A new journal for a new subspecialty". Medical immunology (London, England). 1 (1): 1. doi:10.1186/1476-9433-1-1. PMC 131025 . PMID 12437786. ↑ Pharmaceutical Microbiology Principles and Applications. Nirali Prakashan. pp. 1.1–1.2. ISBN 978-81-85790-61-9. Retrieved 18 June 2011. ↑ Puglisi, Joseph D. (editor). (1996). an Aminoglycoside Antibiotic (PDF). Science. . Retrieved 2016-04-05. ↑ MacFarlane, GT; Cummings, JH (1999). "Probiotics and prebiotics: Can regulating the activities of intestinal bacteria benefit health?". BMJ: British Medical Journal. 318 (7189): 999–1003. doi:10.1136/bmj.318.7189.999. PMC 1115424 . PMID 10195977. ↑ Tannock GW (editor). (2005). Probiotics and Prebiotics: Scientific Aspects. Caister Academic Press. ISBN 978-1-904455-01-1. Retrieved 2016-03-25. ↑ Drews G (1999). "Ferdinand Cohn, among the Founder of Microbiology". ASM News. 65 (8): 547. ↑ Johnson J (2001) . "Martinus Willem Beijerinck". APSnet. American Phytopathological Society. Archived from the original on 2010-06-20. Retrieved May 2, 2010. Retrieved from Internet Archive January 12, 2014. ↑ Keen EC (2012). "Felix d'Herelle and Our Microbial Future". Future Microbiology. 7 (12): 1337–1339. doi:10.2217/fmb.12.115. PMID 23231482. Wikimedia Commons has media related to Microbiology.